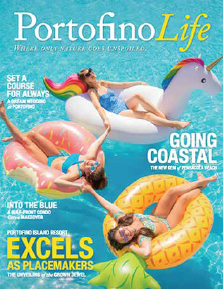 Portofino Island Resort, bordered by the majestic Gulf of Mexico to the south and the scenic Santa Rosa Sound to the north, is a watersport lovers paradise. Both bodies of water offer many exciting ways to explore, cruise or unwind on lapping waves. And, whether a novice or pro, we’re sure to have something to set you sailing on your own adventure. Kids love to ride the waves on these small, easily maneuvered boards. They’ll be sliding and gliding all day in the gentle surf of the gulf. 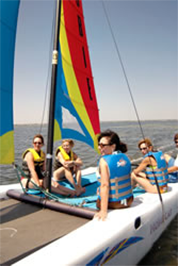 Set sail for a relaxing cruise on our 14’ or 16’ Hobie Cat Sailboats. Fun for both the novice and the pro sailor. Discover the beauty of Portofino from the rolling waves of the gulf or peaceful waters of the sound in a single or double Ocean Kayak. Stand-up paddle boarding is a fun new way to explore the waters surrounding Portofino. Whether you want to rip up large surf along the gulf or peacefully cruise the sound, paddle boarding is the best way to walk on water. Soar above the average vacation view with a single, tandem or double parasailing adventure! Rider and observer seats are also available on the boat. Take friends and family for a full-day or half-day cruise along the Santa Rosa Sound aboard one of our two pontoon boats complete with optional bimini shade. Swim, picnic, and enjoy the island breeze. ReefBoards let you see clearly underwater without a snorkel and mask! Grab a board and tame the waves. Surfing the gulf waters is an invigorating way to test your skills while having fun in the sun. 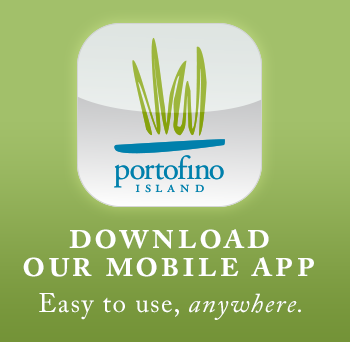 For more information about Portofino’s watersports, contact our Adventures team at 877.701.2384 and ask about our Adventures Packages.